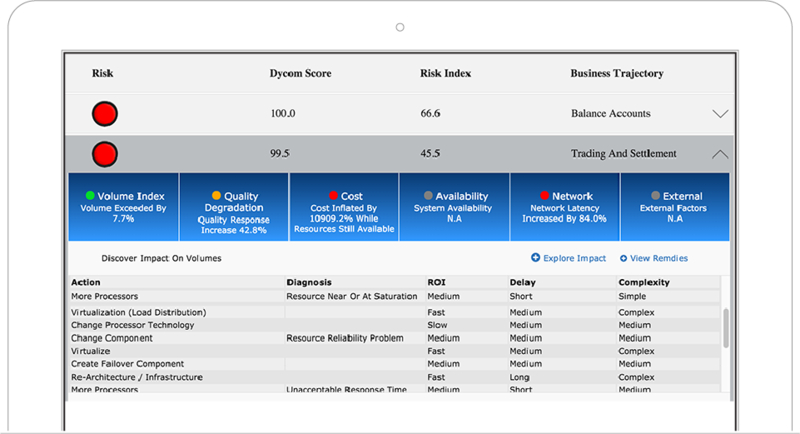 Move beyond the limits of BI and AIOps with patented generative intelligence technology that helps you implement the right risk mitigation strategies at the right time and make decisions quickly—knowing the full impact to business and IT operations. 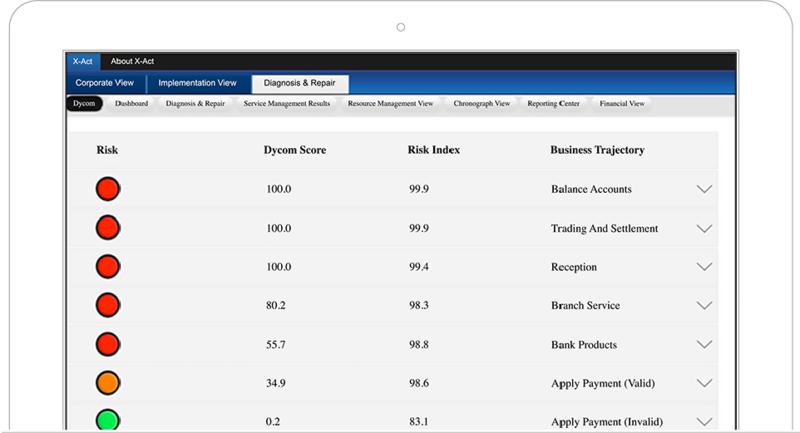 X-Act platform metrics provide users with a high-level view of risk and overall system health with both quantitative as well as qualitative significance. Color-coded dashboards help both business and IT users easily see if a current problem exists and predictively explore when problems may arise using what-if scenarios. X-Act platform helps users identify opportunities to improve performance or manage risks with clear insights into the complexity and time requirements of any proposed solution as well as the expected ROI. This allows stakeholders to agree upon the best-fit solution before committing any time or resources to a change program.